Each year surgeon Brigid Corrigan leaves the comfort of her operating theatres in Perth to treat patients in one of Africa's poorest countries, Tanzania. For the past four years, Brigid has joined a team of surgeons, anaesthetists, nurses and physios on volunteer trips to Monzo, Tanzania with Rafiki Surgical Missions. During the team's two-week stays, they perform around 50 surgeries in theatres of a Tanzanian Hospital. Brigid says the work is extremely tiring but incredibly rewarding. "Many of the patients we see require cleft lip and palate surgery but we also see a lot of burns victims and other weird and wonderful cases. "Lots of people in the town cook on open fires so burns are common. We see patients who have severe scarring and deformities from burns, some whose hands, arms or necks have been fused to their bodies," Brigid said. Following a clinic where patients are assessed and surgeries are scheduled, the team performs operations for 12 hours each day for seven days. Brigid says the team performs relatively straightforward operations that are possible with simple facilities but make a huge difference to people's lives. "Most of our patients are not going to die from their issues but they're often outcast or shunned because they look different. It's really quite life changing. "One of the burns patients we performed on who had his arms fused to his body was up and walking by the end of our stay, which was wonderful to see," she said. Not-for-profit organisation Rafiki Surgical Missions has sent Australian Medical teams to Tanzania 17 times since 2004 and they have performed more than 950 surgeries. A day in the Tanzanian theatres is marginally different to Brigid's usual workday in Perth where she performs mostly breast reconstructive surgeries, hand trauma or general trauma surgeries at Royal Perth Hospital or in private practice at St John of God Hospital. 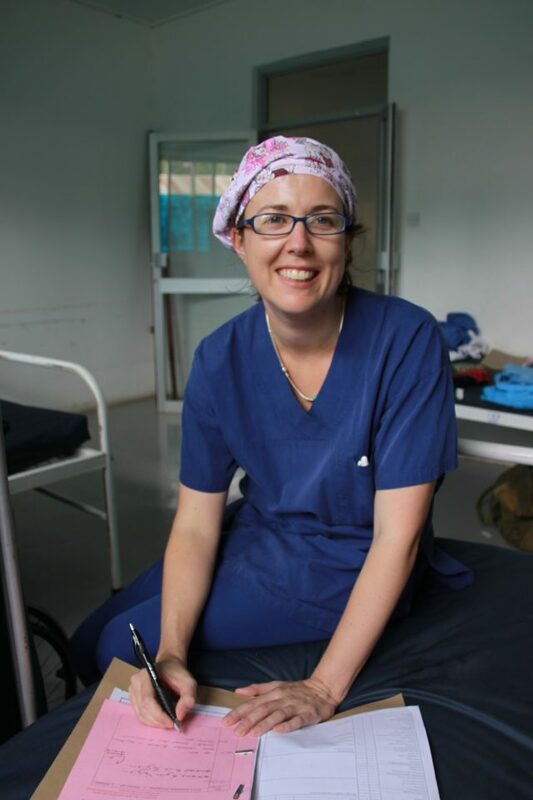 Following a Medicine degree at the University of Western Australia, Brigid was attracted to the Plastic Surgery field, partly due to opportunities to participate in overseas volunteer trips to assist people in need. With more trips with Rafiki on the horizon, Brigid is eager to visit patients she's treated in the past and continue to improve the lives of many more Tanzanians.